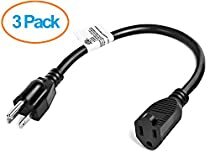 The Aurum Cables 1-ft. 16AWG, 13A Power Extension Cord is the ideal simple and affordable solution for extending the length to your power outlet, power strip, power cords or any appliances and electronics with a nice short cable of 12 inches. Ever have a power strip or any outlet with numerous outlets which for some odd reason it was made to close to each other, and you have those bulky plugs that are just to ungenerous and take up most of the space by covering the other outlets, which you would've wished to be able to use all of those outlets as you originally intended to, well, you can bring your search to an end by optimizing your outlet or device with this multi pack 1 ft extension cord allowing you to regain your outlet spaces and connect bulky power adapters to your power strip, power cord, wall outlet or surge suppressor without loosing the space from any other outlets. The standard three-prong design allows use in almost anything, Such as TVs, speakers, stereos, game systems, chargers, computers, monitors, scanners, power transformers, printers and much more! The Aurum Cables extension cord is a 16-gauge consisting of three-prong, grounded for safety. Providing highest quality with a Sturdy Long-Lasting Construction, durable vinyl covering insulating and protecting the cord's conducting wires, plus resists moisture, abrasion, and the damaging effects of sunlight, and resistant to extreme temperature which will not crack or deteriorate.This cord is recommended for general indoor/outdoor use. • 16/3 -16Awg with 3 conductors grounded. • SJTW - S = service, J = Junior, T = Thermoplastic/Vinyl, W-A = Weather Approved. • ETL Approved - meeting the required safety standards. 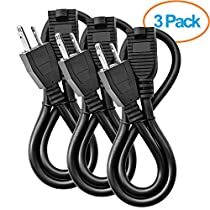 VALUE PACK: Valued 3 pack power extension cable to extend the outlets on the power strip to avoid being cluttered by bulky power adapters or a great solution for adding some length to your current electronic device cords. SPACE SOLUTION: Maximize the usage of you power strips electrical cords power outlets cables and wall outlets by allowing you to use every outlet you own through this short and a simple extender. A solution to your wasted outlet space. 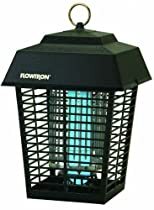 COMPATIBLE WITH: The standard three-prong design allows use in almost anything that accepts a three-prong adapter. Great for TVs, speakers, stereos, game systems, chargers, computers, monitors, scanners, power transformers ,printers etc. STURDY AND FLEXIBLE: Indoor/Outdoor use SJTW vinyl cord sets constructed with double insulation and molded-on plugs, designed for water resistant and flame retardant, Vinyl covering protects against abrasion and direct sunlight exposure and resistant to moisture and abrasion, for maximum durability and long life. The Aurum brand of cables and extension cords is characterized by very high quality and excellent functionality. These two-foot Aurum extension cords are ideal for improving access to household electrical power outlets that are inconveniently situated behind a couch, a bookshelf, or a cabinet. They are well-constructed, strong, and durable, and they always function perfectly. 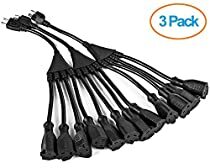 In addition, the three-pack of these extension cords represents a superb value at the price point at which it is being offered. These two-foot Aurum extension cords are outstanding, and I give them a five-star rating, along with my highest recommendation.